Tafi del Valle is a 2-½ hour bus ride west from Tucuman through sugar cane fields and beautiful forested mountain valleys, climbing for over 5,000 feet. At an elevation of over 6300 feet, the lush vegetation of Tucuman and the river valley gives way to the dusty semi-arid scrub of the northwest Andes. 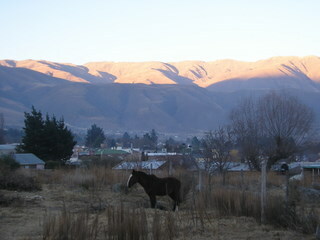 The village is a popular summer resort for well-to-do Tucuman residents escaping its torrid heat. Vacation homes dot the hillsides and numerous low-rise hotels are in town and hidden in the countryside. Avenida Peron is lined with tourist shops selling trinkets made in China and Bolivia. Mediocre restaurants are numerous. There’s not much to the much talked about and overrated Argentine summer resort of Tafi del Valle. I am sure that if you have a vacation home or are a Tucuman resident the village is a gathering place for summer friends, but for the traveler looking for adventure, Tafi doesn’t have it. Originally a five day stay, I cut it short after two. 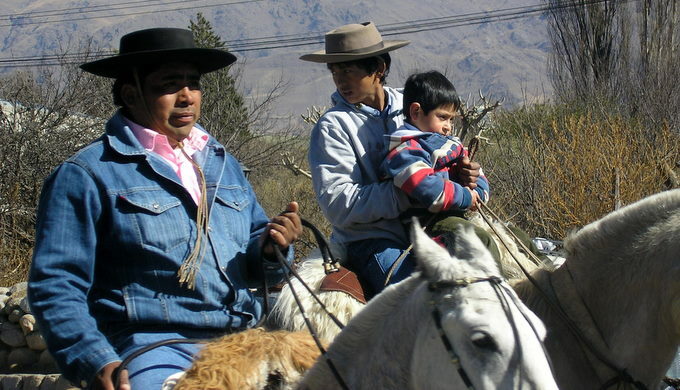 To see the surrounding countryside, including sites in the province of Catamarca, requires long day-trips on guided excursions or renting your own 4-wheel vehicles - an expensive option. Nearly 3-hours north, the most historic of the Catamarcan sites is the Quilmes Ruins, a pre-Columbian fortified town of the Quilmes culture. At a population of 5,000 at its height, the Quilmes fiercely opposed the Incas and held out for 130 years against the Spanish before being defeated, relocated and dwindling to extinction. 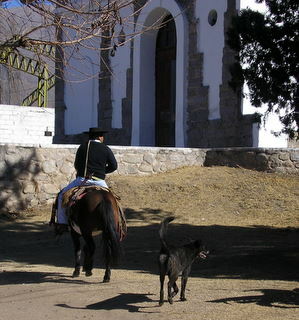 Our hotel was the 200-year-old Estancia Los Curtos, which, unfortunately, was as uncomfortable as Tafi. We had an acceptable meal in the restaurant at Lunahuana Hosteria, a less than acceptable one at Restaurant El Rancho de Felix and interesting local chocolate at La Quenuita Chocolate Artesanal. 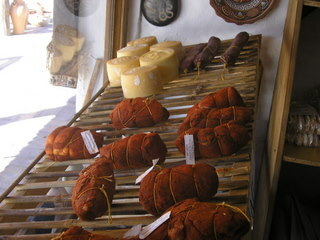 The region is especially known for its goat’s milk cheeses. 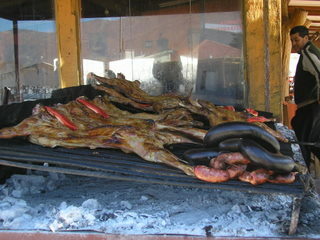 If you have yet to experience Argentine parilla - wood grilled meat - there are a couple restaurants which display the entire process for your inspection right on the street. 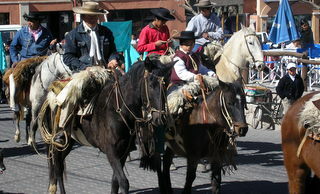 We did experience an annual gaucho religious event in honor of the Virgin Mary. 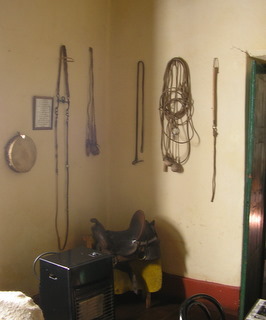 Dozens of gauchos, frequently three generations of the same family, were dressed in their best leather and silver ornaments mounted on beautiful large stallions. 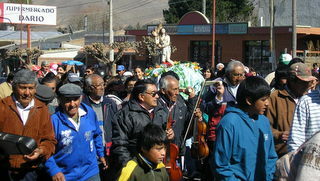 After Mass, during which the horses were tethered outside the church, a procession wound through the streets accompanied by music with the Virgin/Pachamama held high. Set among a half dozen fenced acres of open land a mere block from Tafi del Valle’s new handsome bus station, Estancia Los Curtos’ 200-year old main house is fronted by llamas. It’s an appropriate and quaint introduction to an old northwest estancia. Quaint and beautiful are also appropriate descriptions of this hotel. Comfortable is not. The Chenault family built a prosperous farming enterprise over 200 years which today encompasses a major cheese making facility - some distance from the Estancia - an artesian chocolate shop and gift shops. The present owner, Mercedes Chenault, has adapted the main house into a hotel and defacto house museum. 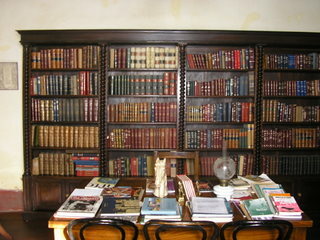 The front two rooms of the beautifully maintained old house are literally a museum. 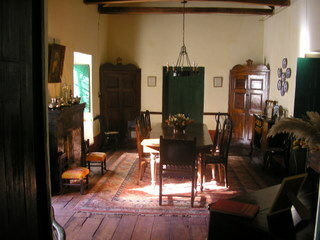 The long dining room with an enormous polished table is set with old silver and antique laden armoires. The library to the side is equally beautiful with gaucho ware on display as well as a large table set out with books for reading on the Argentine northwest. But these are museum rooms. The dining room is used only if guests reserve lunch from a very limited menu. One guest room is to the other side of the dining room. 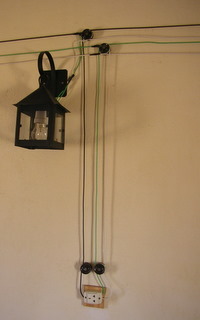 A very small TV room that sits four or five people behind the dining room is the only public space in the old house. A glass walled breakfast room addition is attached to the main house. The remainder of the guest rooms are new construction consisting of several groupings that do follow the courtyard enveloping architecture of the old estancia. In summer, when the temperatures are warm and pleasant at Tafi’s altitude, the Estancia’s rooms are probably comfortable. My stay was in the middle of Argentina’s winter, August, and it was cold - below freezing at night. The new guest rooms had inadequate central heat. A small space heater was in each room but in the two rooms we stayed in during our three nights (the first room was colder than the second) using the electric space heater blew the circuit breaker. I do not require a lot of heat when sleeping, but I was very cold. The rooms were basic - a bed, one chair, one glass and a small bath. 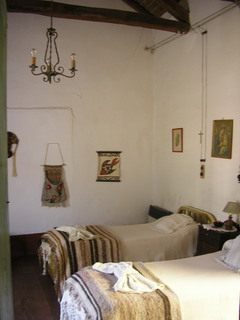 Many rural Argentine hotels, even the best, do not use dryers but hang their sheets and towels outside in the abundant sun. This is good green energy use except that cooking outdoors over fresh wood is also the norm. Our bedding and towels smelled of wood smoke. The original house had no central heating and the small TV lounge, which we didn’t use because there was no room to sit when we were present, had it’s small gas space heater turned off at 10:00 pm. The breakfast room, even though a new addition, also had no central heat and was warmed by a smokey wood burning stove and a noisy kerosene heater. Breakfast with kerosene laden wood smoke was very unpleasant. 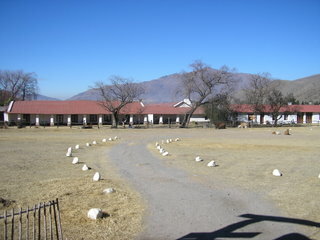 The Estancia had a computer with wi-fi but the system was not available to guests. In all of Tafi, there were only two places I found where wi-fi was available - one other hotel and one telephone/internet shop. This modern hotel is directly across the street from the Estancia Los Curtos in a well designed building incorporating local stone, glass, wood and a nice interior garden. The large wood burning fireplace in the handsome lounge was inviting. It was so inviting I spent several nice hours nursing coffee so that I had access to their wi-fi - one of the very few connections in Tafi del Valle. 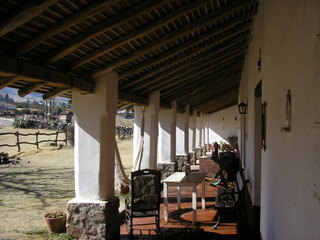 A double room at Lunahuana Hosteria averages AR$330 (US$87.00). Lunahuana also had a full service restaurant with glass walls that looked out onto both the Tafi countryside and the interior garden. Unfortunately, the food did not live up to the environment. The menu consisted of traditional Argentine favorites found on too many menus, and, just like too many restaurants, under seasoned and poorly executed. Once more a restaurant highly recommended in a particularly popular guide book proved my point that I believe few guide book reviewers ever eat or sleep - or even visit? - what they review. El Rancho de Felix was awful in ever area. The interior dining room smelled too heavily of cigarette smoke so we sat outside. Unfortunately outside is Aveneda Peron, as junked-up a tourist street as any can become. Service was erratic for no discernable reason. The menu was not only the previously mentioned top ten over used Argentine dishes but heavy on deep fried. We opted for local northwest favorites and were surprised that even they could be ruined. A terrible, soggy tamale, a mediocre under seasoned locro - where was the pork?- and a truly bizarre humita “soup.” A humita is a wonderful firm yet creamy mix of corn, cheese and seasonings tightly wrapped in corn husks and steamed. El Rancho took the corn mixture, minus the seasoning, thinned it down with water and served it as a soup. Not recommended, the soup and the restaurant. 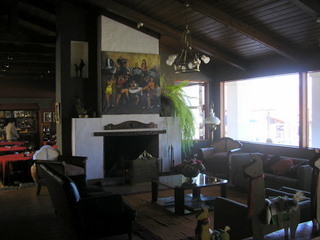 This unique chocolate shop is next to and owned by Estancia Los Curtos. Unfortunately the chocolate has a rough, slightly grainy mouth feel, even without their unique additions. But buying a few of their small bars is worth the experience. We purchased four 1-½ ounce bars each of chocolate with Quinoa, Maze, Chia and Pollen. Quinoa, maze (dry corn) and chia have been staple grains in the Andean region for milinia. Chia, by the way, grows into the sprouts that cover chia pets. I have no idea how they gather grains of pollen. Each 1-½ oz bar cost AR$4 (US$1.05).